We have been members of the British Plastics Federation for decades. Hardie Polymers have been members of the British Plastics Federation (the BPF) now for over a decade. We joined in order to take advantage of the many benefits of membership. The British Plastics Federation (BPF) is the UK trade association for the plastics industry. Therefore, it represents the whole supply chain including polymer producers, distributors, additives suppliers, machinery manufacturers, processors and recyclers. “As members of the British Plastics Federation, our reputation is second-to-none. We were awarded best Polymer Distributor 2014 at the Plastics Industry Awards and are also winners of other top business awards in 2015 and 2016”. Hardie Polymers is the UK’s leading independent Thermoplastics Distributor. 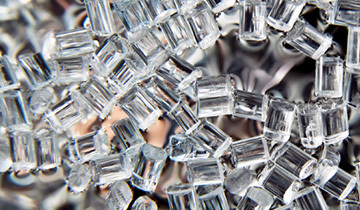 We offer a complete range of Engineering Polymers to the Injection Moulding sector. Established in 1933 the British Plastics Federation is the most powerful voice in the UK plastic industry with over 400 members across the plastics industry supply chain, including polymer producers and suppliers, additive manufacturers, recyclers, services providers, end users, plastics processors and also machinery manufacturers. The BPF promotes the interests of its Members principally through its four Market Sector Groups and also its many common interest Business Groups. The BPF Central Expert Committees address industry wide concerns including Environment, Fire, Product Safety and also Industrial Health & Safety. In addition to other benefits, Hardie Polymers has been able to take advantage of the whole host of seminars and webinars that the BPF organises and supports. A large array of Members Resources are hosted on their website also along with an impressive “Plastipedia” – The Web’s Largest Plastics Encyclopedia.